By Libby Gandhi, Writer and Art Historian. 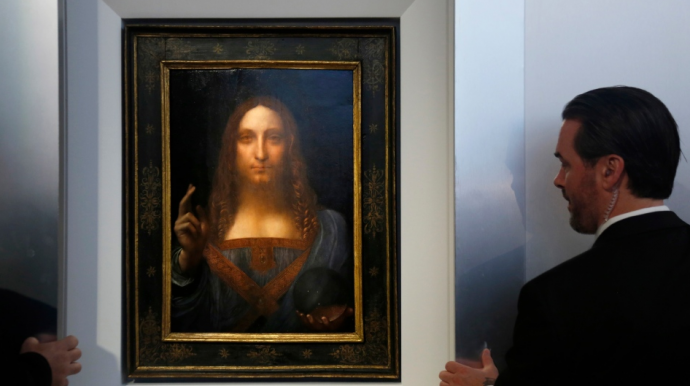 The Fine Art market soared to nosebleed territory last week with the sale of Da Vinci’s transcendental Salvator Mundi for $450 million. This astonishing price – the most expensive piece ever sold at auction – set a new benchmark not only for Art value, but for outstanding marketing strategy. Vendor Christie’s partnered with agency-du-jour Droga5 for the campaign. Exclusivity was promised by – inaccurately – branding the painting ‘The Last Da Vinci’ available for private purchase. Next, the painting embarked on a world tour. 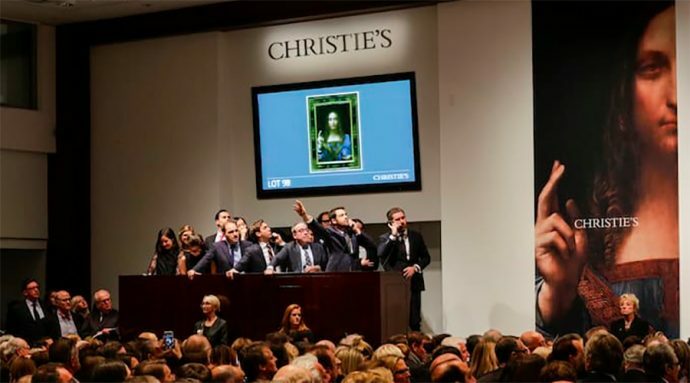 Plugged by Christie’s as ‘a painting of the most iconic figure in the world by the most important artist of all time’ the artwork was irresistible, and hours-long queues formed in Hong Kong, San Francisco and other major cities. A feedback loop formed that reinforced the importance of the auction as well as the piece itself. During this tour, Salvator Mundi was displayed alone, spotlight in a black-walled room. A shrine-like presentation, which created a ‘self-friendly funeral’ (Apollo Magazine). Droga5 doubled down on the ecclesiastical tone through the Instagram account @thelastdavinci where portraits of visitors were captioned with their first name and the time of their visit in ‘a format reminiscent of a biblical scripture citation’ (Droga5). From the tour stemmed the video. Droga5’s pièce de résistance. ‘The World is Watching’ promoted Salvator Mundi by not showing it at all. Instead, a small camera tucked beneath the painting recorded the emotions of those who attended the world tour in a smart reversing-the-gaze exercise. Visceral reactions of adoration, humility, and reverence to this ‘Divine Mona Lisa’ are compiled into a sobre four-minute fourteen second video; cut to reflect the Gospel of John 4:14 which states that ‘we have seen and testify that the Father has sent his Son as the Saviour of the World’. Onlookers are reduced to tears against a weighty classical overture. Finally, at the culmination of this campaign in the Christie’s New York auction room, Da Vinci bidders were handed ostentatious, trophy-like red paddles. It has been an outstandingly successful marketing campaign. Salvator Mundi surpassed the previous most expensive artwork sold at auction – Picasso’s Femmes d’Algers, sold in 2015 – by $271 million. Droga5 crafted a strategy laden with suspense, spirituality, and drama that was perfect suited to the exclusive, ostentatious and fiercely competitive Fine Art auctioneering market. The interesting thing is that until now, the relationship between Fine Art and marketing has been uneasy. Indeed, Art editorials have already expressed suspicion of ‘the dark art of marketing’ at work in the sale of Salvator Mundi. In part, this is due to previous gimmicky ad appropriation of Fine Art. In 2016 Pizza delivery chain Domino’s advertised it’s ‘Authentic Italian’ range by photoshopping Da Vinci’s Mona Lisa, and other iconic works, brandishing a slice of pizza. It is also due to distrust over the ‘unscrupulousness’ of advertising. Campaigns such as Brandalism seek to wrestle control of the visual landscape from big brands and replace them with Art. Despite a gradual appreciation of social media by the Art world, the perception persists that advertising emphasizes ephemerality, while Art celebrates legacy and craft. The ideal is that Fine Art should be self-evident and free from manipulation. This is naïve, and both unhelpful to the future of Fine Art and a disservice to the work of the advertising industry. Fine Art suffers from a crisis of branding which sees it misunderstood as inaccessible and stuffy. The necessity of appealing to young future curators, investors and enjoyers is the greatest challenge facing the industry and one that smart marketing could solve. Besides, advertising is nothing new to the Art world. Not just contemporary artists, but Old Masters also created cults of personality in order to garner attention and drive up the value of their work. Marketing is an art itself as old as Salvator Mundi. $450 million for an artwork is outrageous. But it is not necessarily unhelpful. Prices such as these turn profits for auction houses, draw audiences to galleries and create a certain rock-star appeal to Fine Art. Smart marketing makes the product relevant. Effective, creative and disruptive marketing stands to better the financial future of investors, the profits of Art Galleries, and the excitement of new audiences towards Art. Droga5’s expert campaign on Salvator Mundi increased it’s value by 253% since it’s last sale in 2013. While the painting’s new owner has not yet revealed themselves, it is crucial that the art of advertising gets the appreciation it deserves. 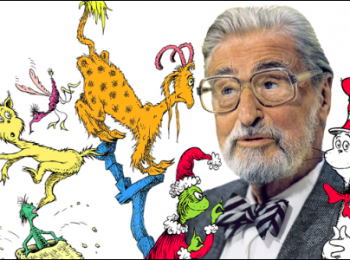 Very well written and thought provoking piece. Thanks for the comment Jamie. What should Libby write about next?